Most Americans believe that U.S. foreign aid is altruistic, a force for good. Author John Perkins' mission is to dispel that notion. 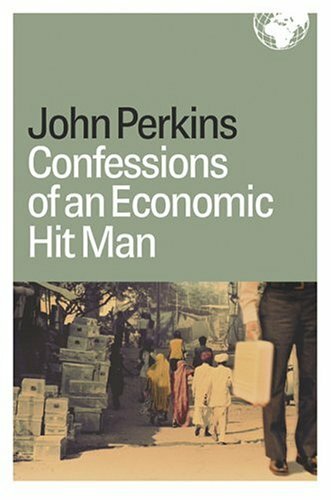 A handful of wealthy people in the United States have become a lot richer from foreign aid and a few people in developing countries have benefited, Perkins, author of "Confessions of an Economic Hit Man," told a crowd of about 200 here Wednesday night. Perkins' book, which came out in November, is already in its eighth edition. It entered the New York Times list of nonfiction best sellers at No. 9 last month and has received great acclaim in the alternative press but no attention from the mainstream media. In it, Perkins, 60, outs himself as a former economic manipulator of foreign governments and reveals the ways the United States has taken advantage of other nations, post-World War II, on its path to empire. "We get them under our control. This is how we managed to create the world's first true empire," he said during a lecture in the Great Hall of the Memorial Union. "There is no emperor. There is no king - no matter what most of you are probably thinking," Perkins said, eliciting laughter from the audience. Rather than soldiers, Perkins said the United States has used anonymous "economic hit men" working in a "corporatocracy" of corporations, banks and government to create its empire. 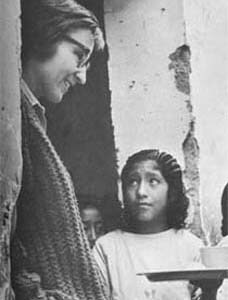 After a Peace Corps stint in Ecuador, Perkins worked as an economist for Charles T. Main, a Boston consulting firm that advised the World Bank, International Monetary Fund and other multinational development agencies. In Perkins' terminology, economic hit men are the builders of empire. They are employed by private firms, not the government, to identify nations that have coveted natural resources, and then to persuade their leaders to take massive amounts of World Bank and IMF aid for large projects like the extraction of oil and the building of hydroelectric dams, ports, roads and power plants. The money is administered through U.S. companies, which wind up enriching the rich and making the poor poorer, said Perkins, who lives in Florida. Before economic hit men, Perkins said, there was Kermit Roosevelt Jr., former President Theodore Roosevelt's grandson. He detailed how in 1953 while working for the CIA, Roosevelt helped overthrow the popular, democratically elected prime minister of Iran, Mohammad Mossadegh, who had been voted "Man of the Year" by Time Magazine two years earlier. At the time, Western oil companies were taking 85 percent of the oil money out of Iran. Mossadegh clamped down on the practice, arguing that more of the profits needed to stay in Iran. After the coup, Perkins said, Mossadegh was replaced by the despotic Mohammad Reza Shah, who gave favorable treatment to the oil companies. This coup was done without war, essentially without bloodshed, and without the nation discovering that Kermit Roosevelt was a CIA operative, Perkins said. "A light went off. Here was a new way of forming empire." In the 1970s, Perkins said the House of Saud made agreements with the United States to guarantee oil prices in exchange for keeping Saudi leaders in power. It is an arrangement still largely in place today, he added. Perkins argued that when economic hit men went in to pressure Saddam Hussein, the Iraqi president didn't strike a deal like the House of Saud did, so government assassins, who Perkins refers to as "jackals," tried to eliminate him. Hussein, however, was too well insulated by loyal bodyguards and body doubles. "The jackals didn't succeed in Iraq so we sent in the military," Perkins said. His goal in the book was to show the "dark shadow side" of how the United States created its empire. Perkins said he realized he had an obligation to tell his story after he visited ground zero in the days after Sept. 11, 2001. The attacks on New York and Washington, D.C., were "a symptom of the anger around the world about what I'd done, what this nation had done," he said. UW-Madison alum Dean DeHarpporte, who owns a small company in Minneapolis, was enthralled by Perkins' book and drove to Madison to hear him speak. "I was always brought up to believe the U.S. was the most wonderful and generous country in the world. It's fascinating to me to see all of this evidence that we are doing all that we can to expand our empire globally," DeHarpporte said. "The empire has no conscience, so we have to have a conscience."